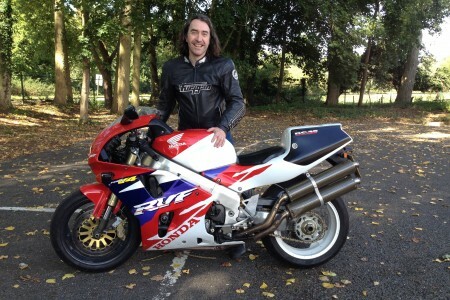 Just back from the Isle of Man where it was ridden by Michael Rutter himself. 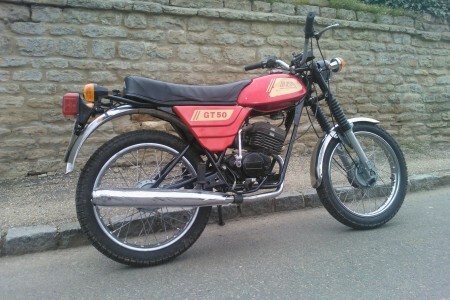 The job was to check out a burned reg rec plug, and tidy a hasty alarm removal. 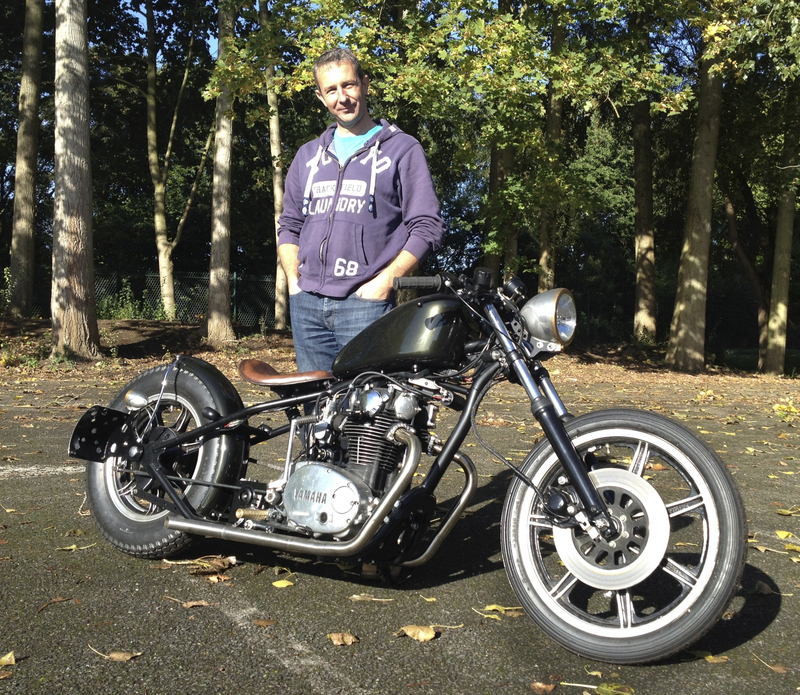 A five-year project for owner Daniel, who needed a new loom design and build to get his hardtail XS up and running. 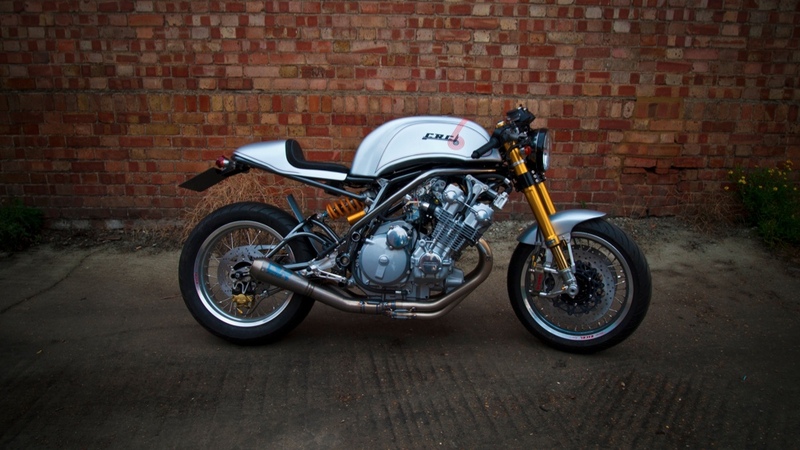 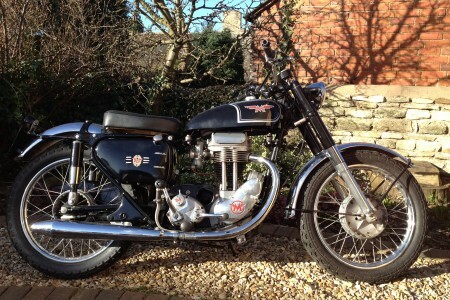 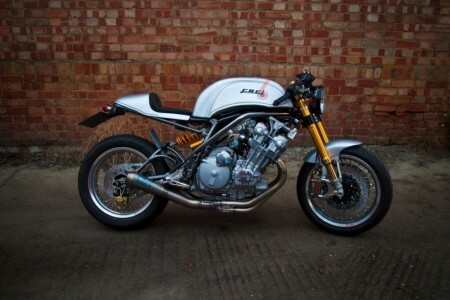 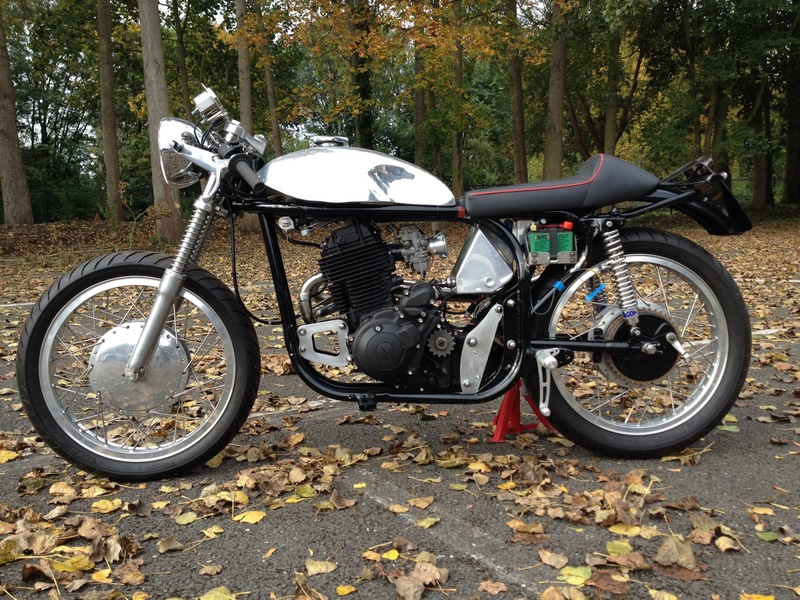 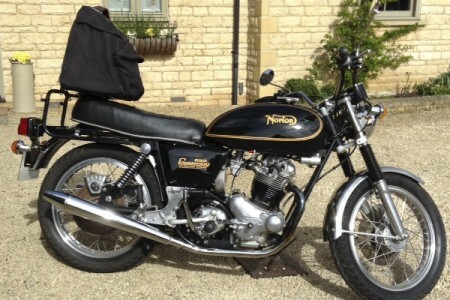 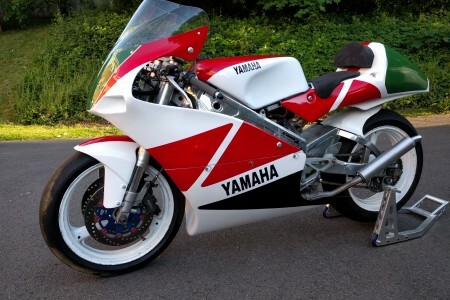 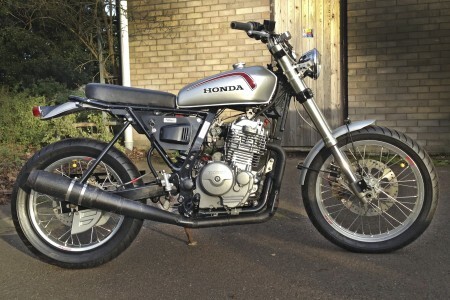 A labour of love by owner Brian: what started as an 850 T3 is now a traditional-looking but very high tech cafe racer. 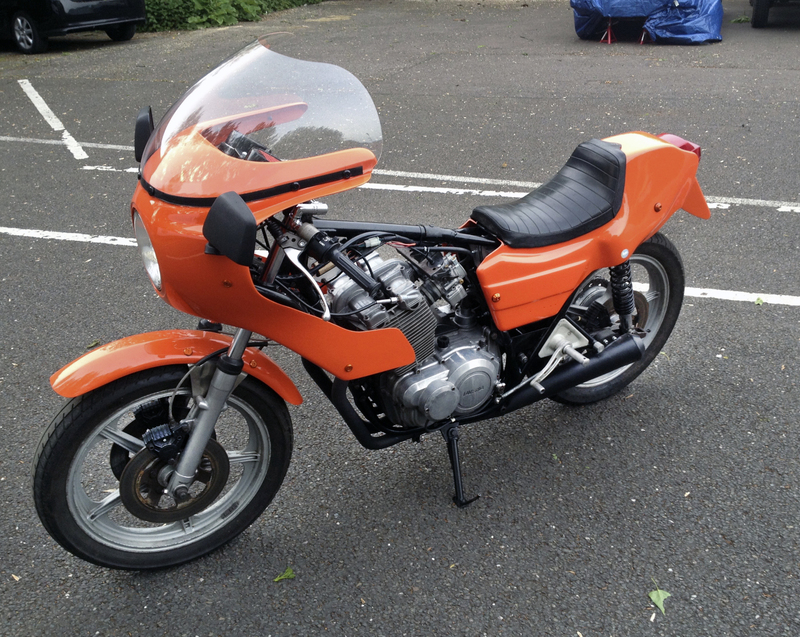 Projector headlight, Zeeltronic ignition, Translogic dash, plus original loom dog-eared and much hacked-about. 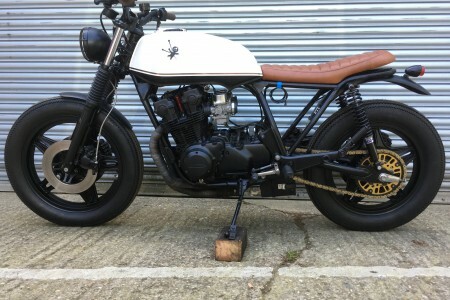 Custom loom to Sideburn mag’s spec, using parts of a 350 loom as the bike was an EFI model converted back to carb. 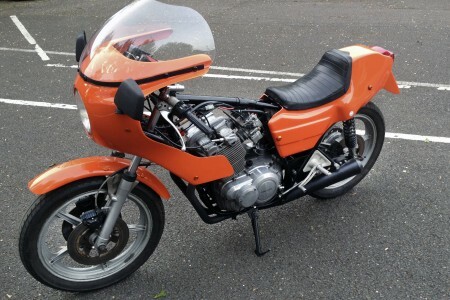 With the original loom way past its best, owner Richard found a brand new US-spec one from Japan, plus some aftermarket switchgear. 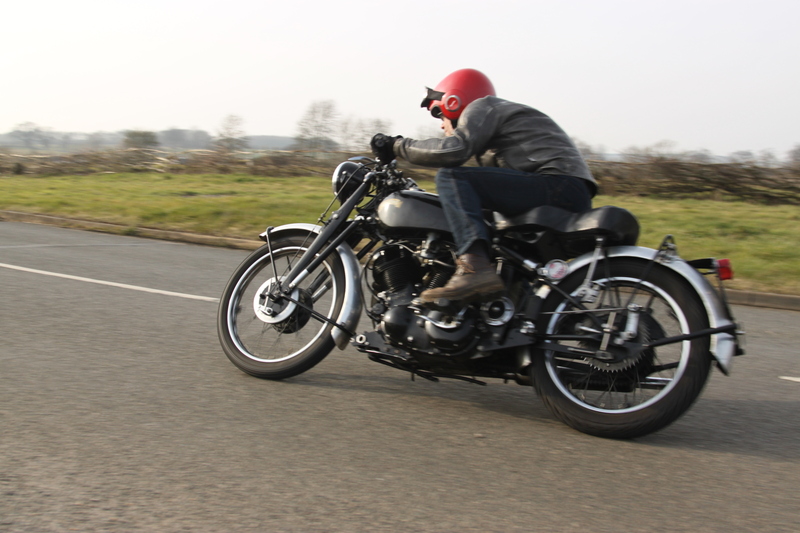 This is me road testing owner Mark’s Vincent. 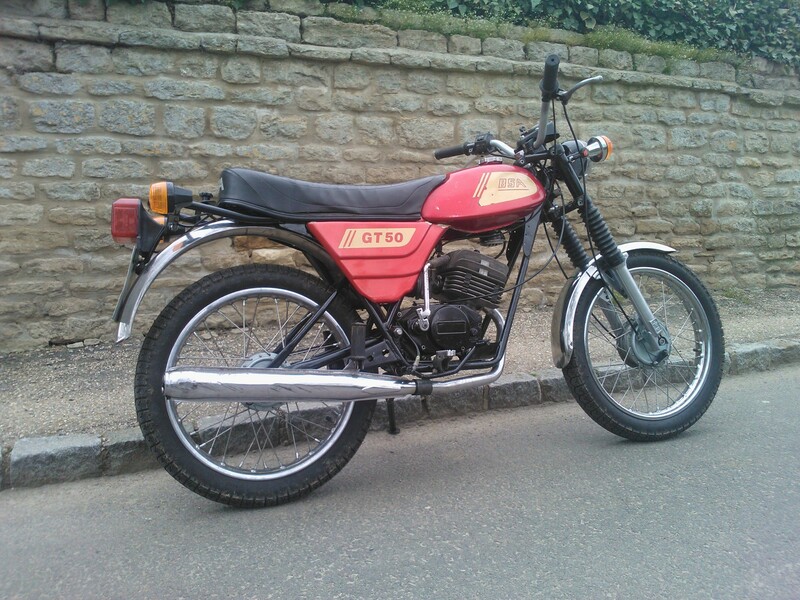 It just needed a new central loom section, and a charging problem fixing. 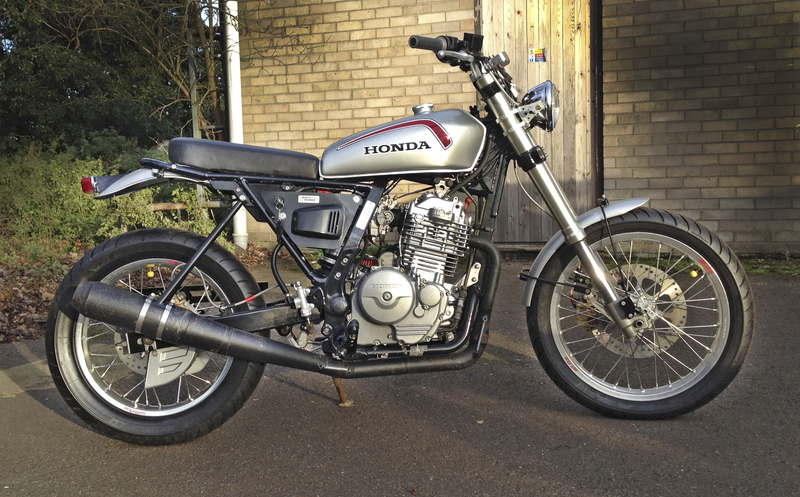 A father-and-son project that needed a total rethink of the stock loom, and most of the bits it joins to. 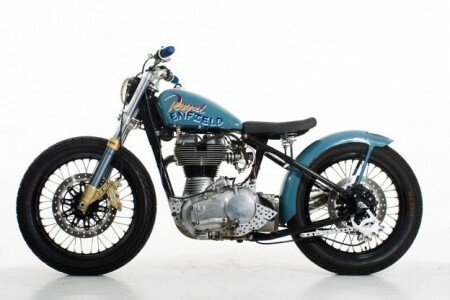 But what a bike. 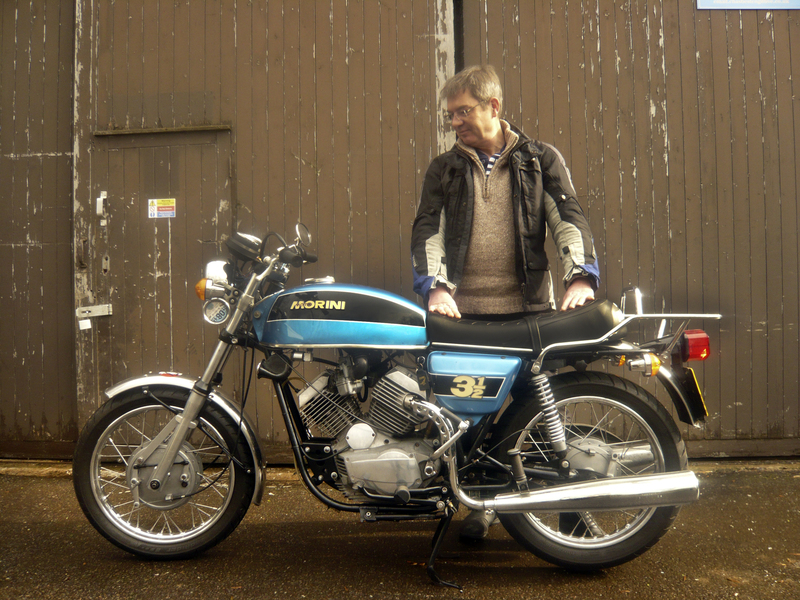 Owner Mark looking understandably pleased with his rejuvenated Morini 350. 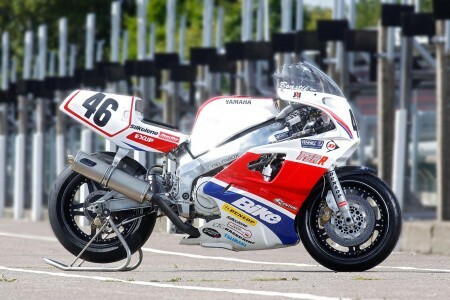 What a beautiful bike. 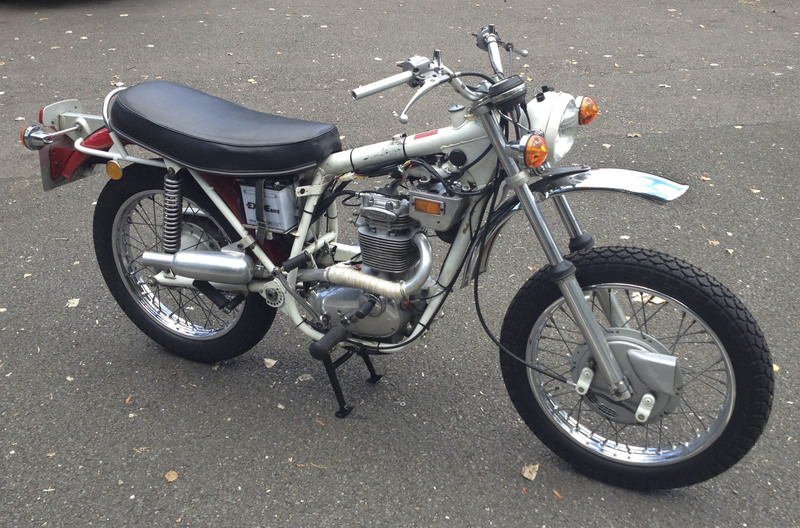 Boyer ignition, battery in the seat hump, reg/rec in place of the old zener diode, and replica Lucas switchgear. 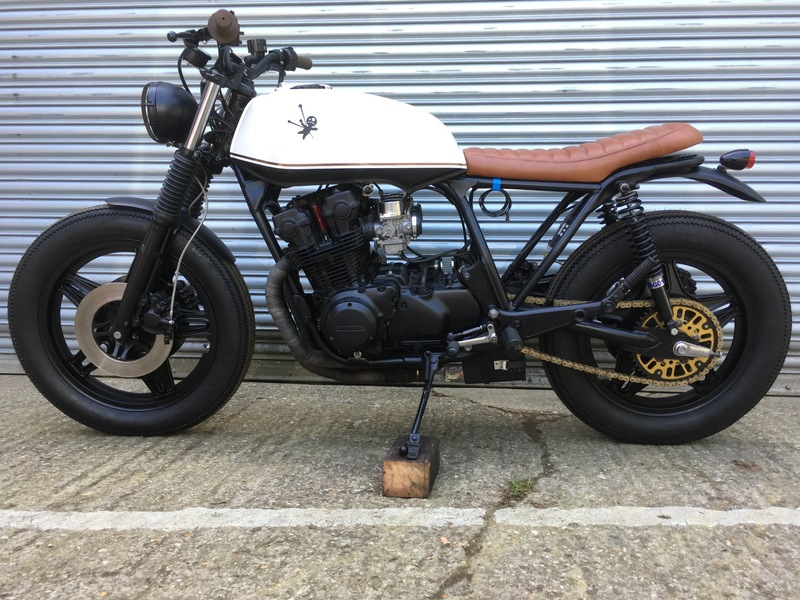 A new loom was the finishing touch to an otherwise complete street tracker bike with a CG125 tank and upside down forks. 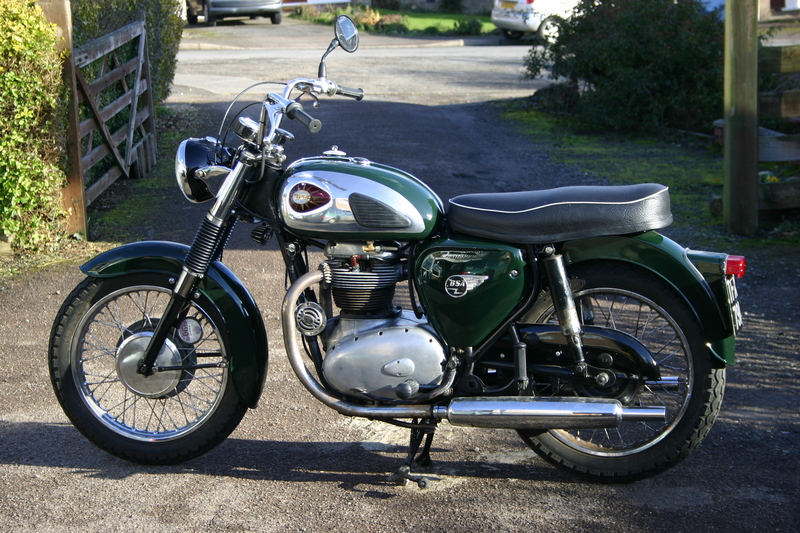 New starter and battery cables, with a RiderMount sat nav cable and heated clothing plumbed in neatly at the same time. 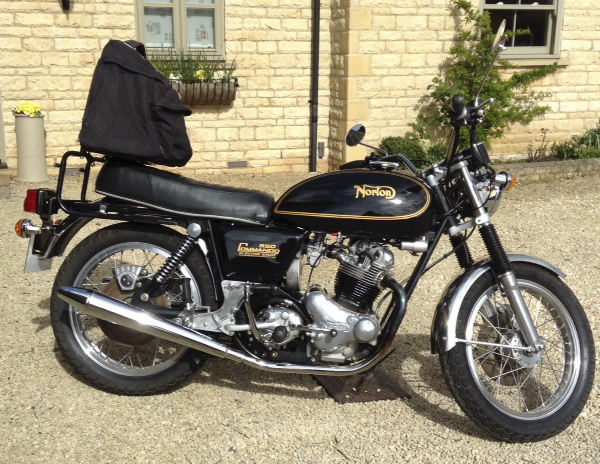 Complete new loom for stock dynamo and magneto setup, indicators, 60/55W headlight, sat nav, heated grips and coil ignition. Another CRC bike with Deutsch connectors, Smiths clocks, Motogadget warning lights, and a D-Unit interpreter box for the Ducati Hypermotard switchgear. 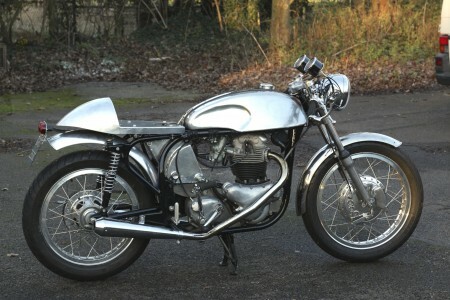 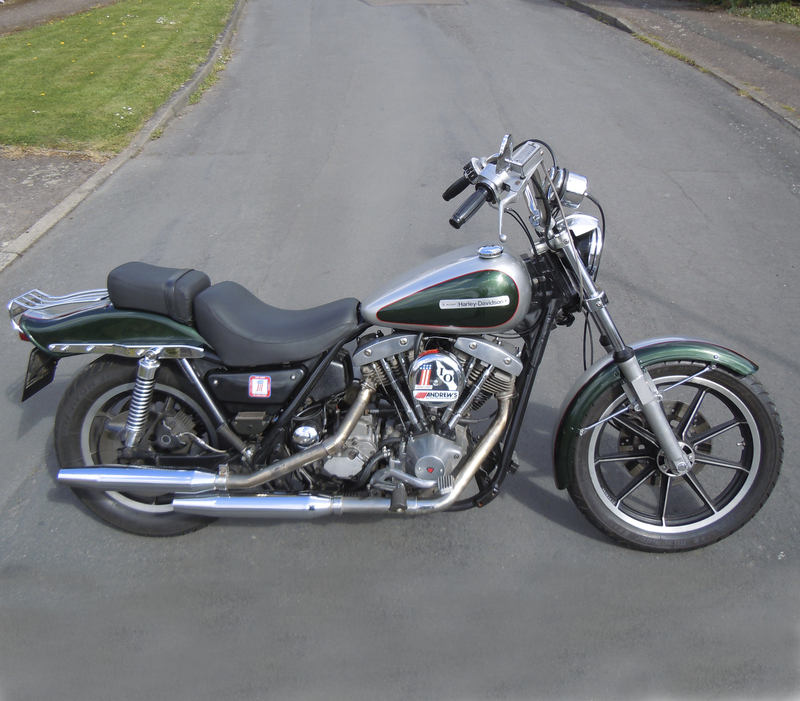 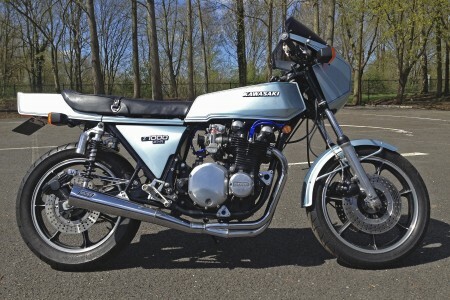 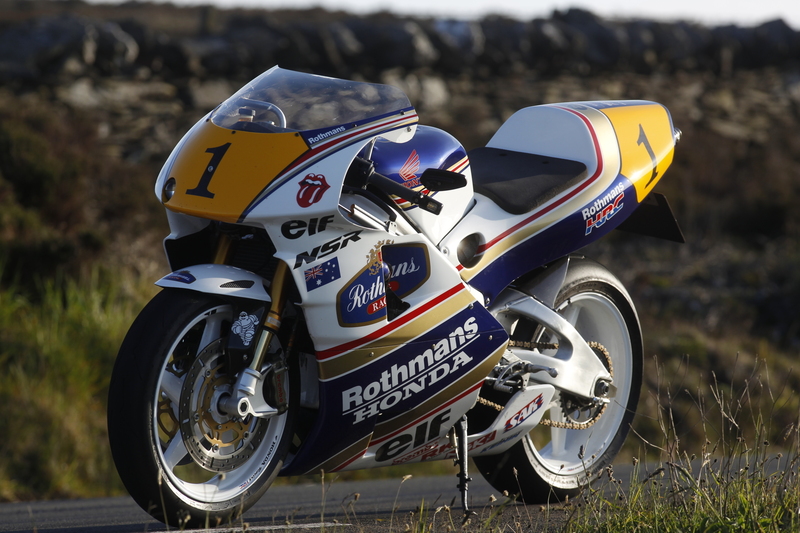 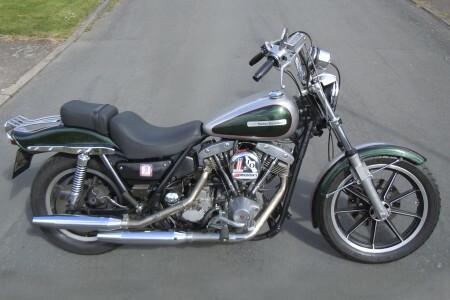 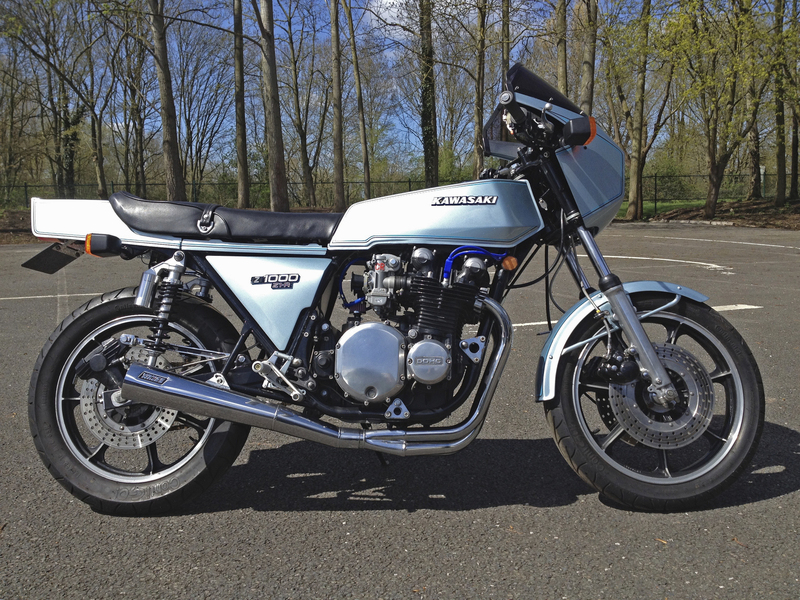 Owned by Classic Bike editor Hugo Wilson who featured its restoration and rewire in the mag in 2011/12. 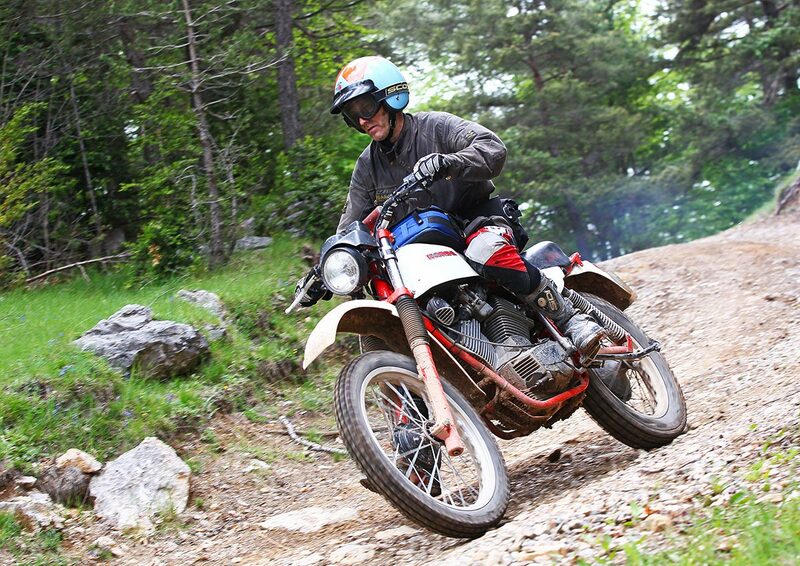 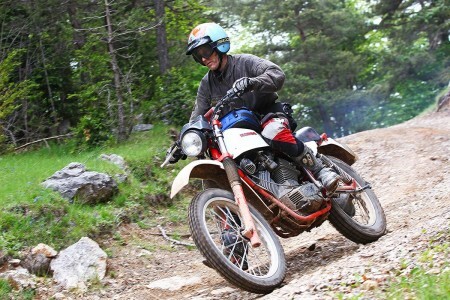 Here it is during an off-road tour of the Pyrenees. 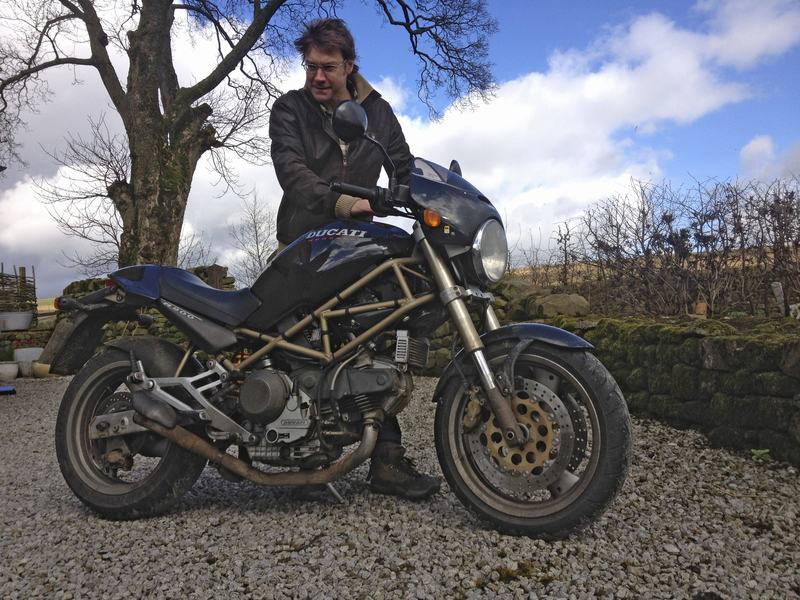 This is, without doubt, the craziest thing I’ve done. 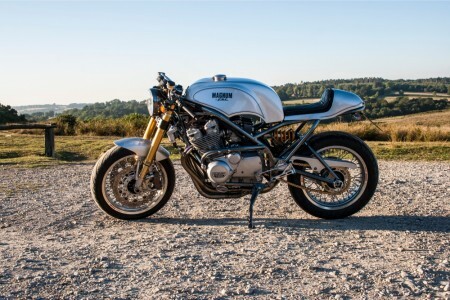 It’s a unique bike designed and built by CRC Motorcycles in Wembley, with fully bespoke electrics. 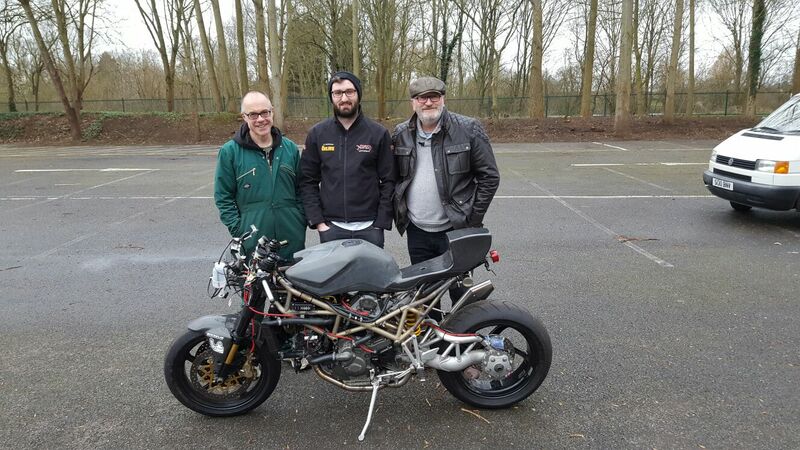 “I want to put a stock headlight back on”, said owner Mark. One snag: the existing headlight was stuffed with wires. 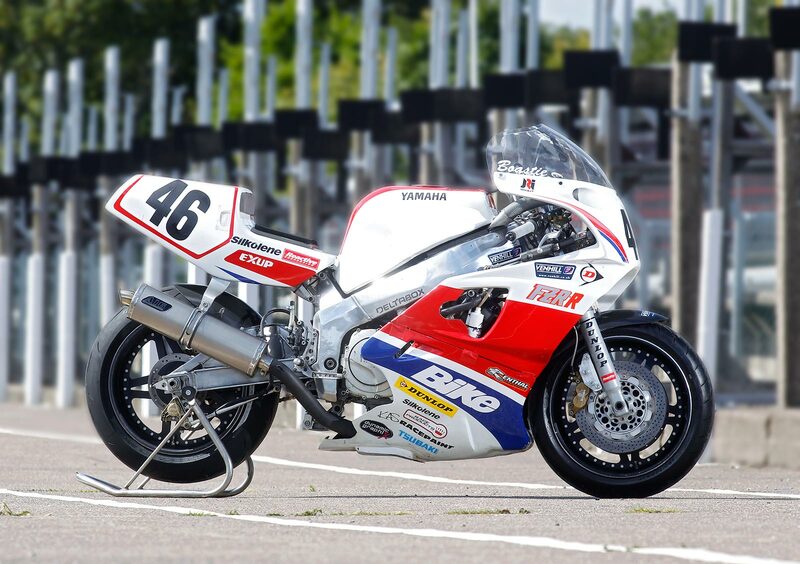 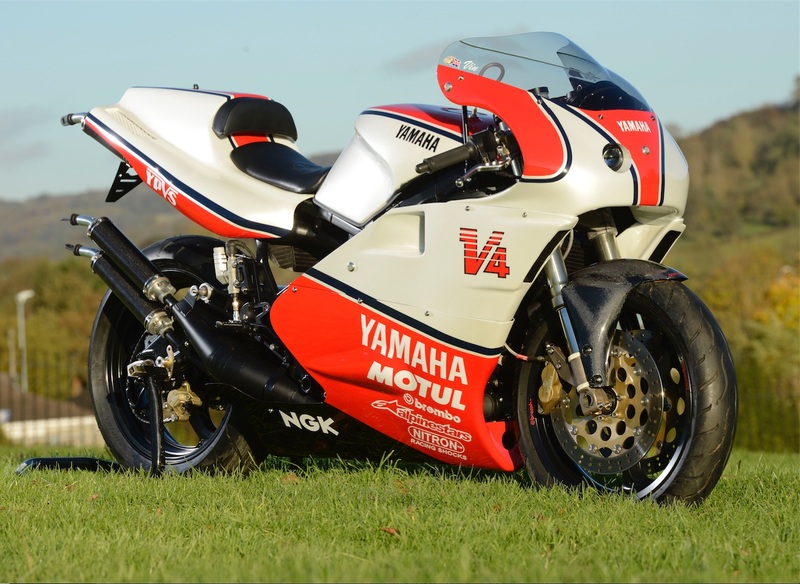 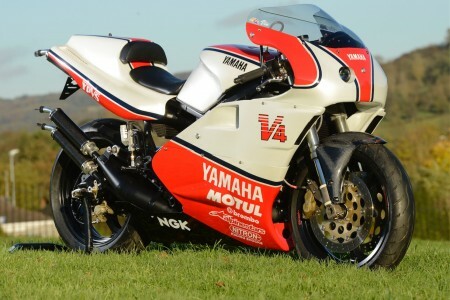 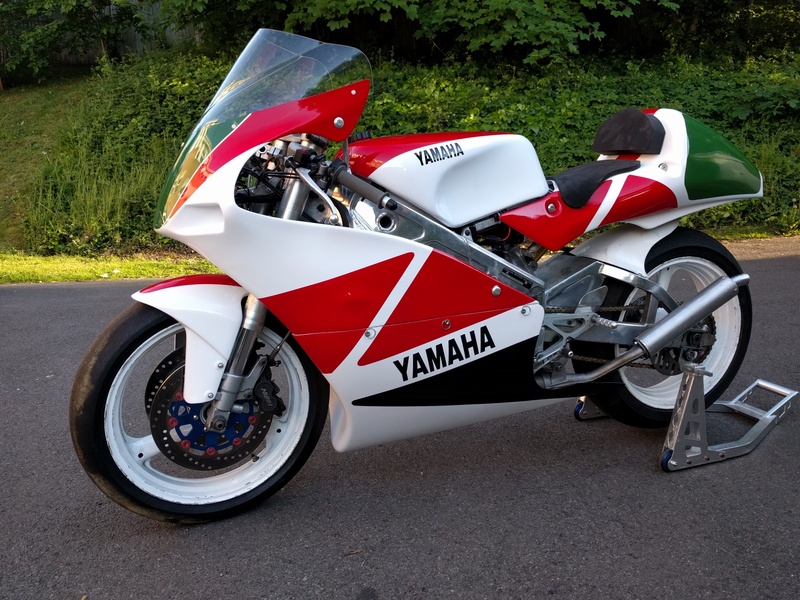 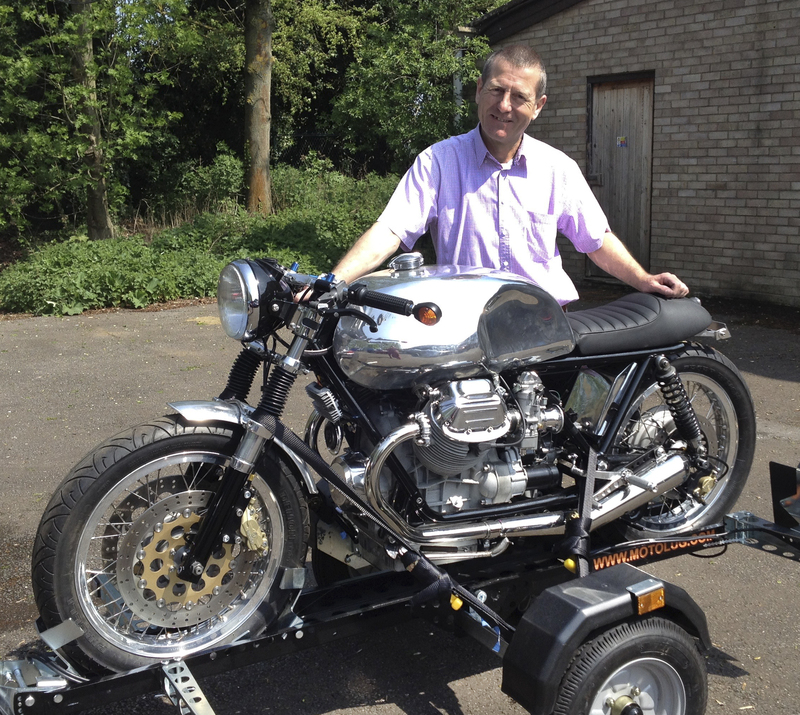 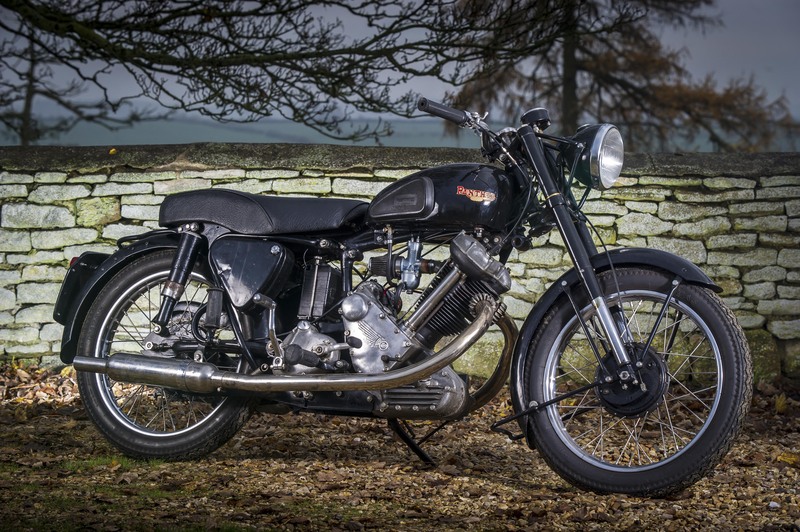 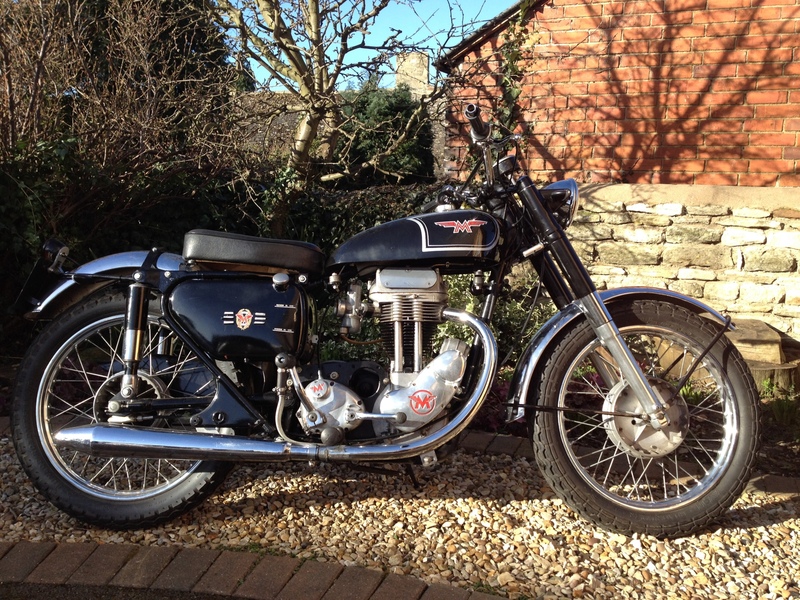 This is Peter Boast’s Classic Superbike, featured in Bike in 2014. 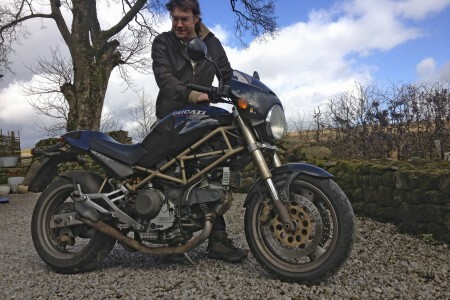 The original loom had rotted so we started from scratch. 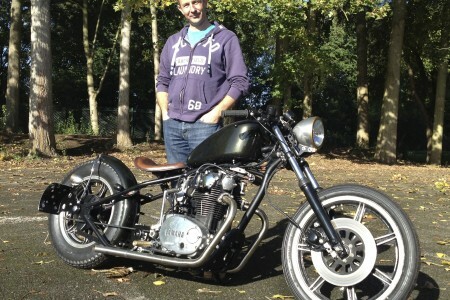 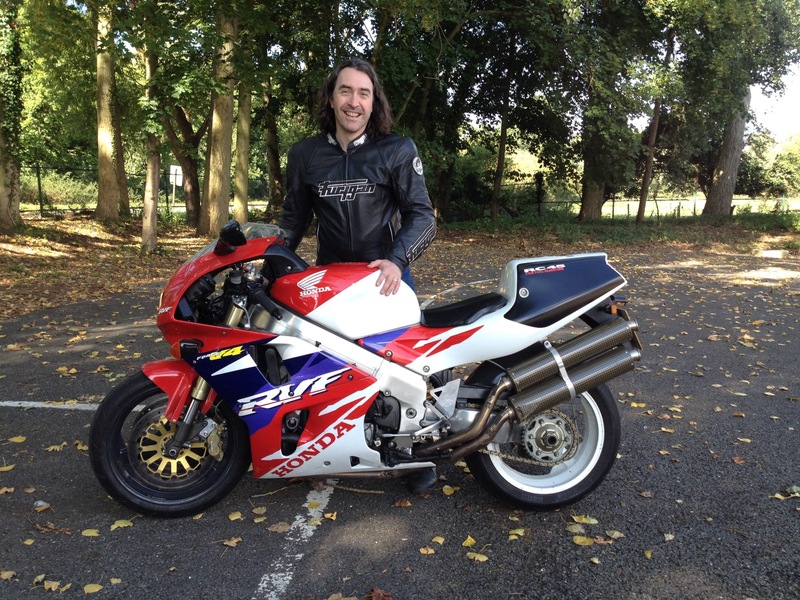 16 year-old Max bought the bike as a half-finished project. 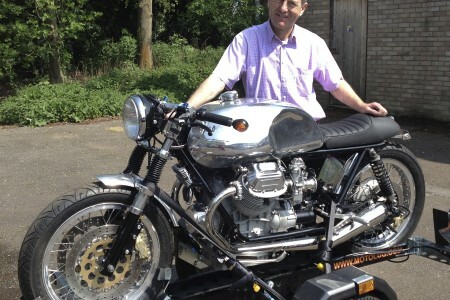 The loom had been damaged and patched up. 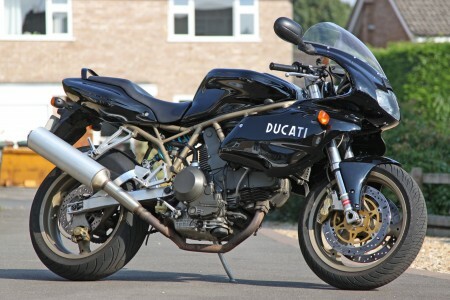 Nearly every Monster needs new starter and battery cables after 15 years, because the starter motor sits behind the front tyre. 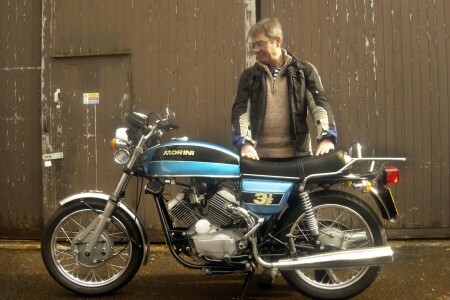 A typical old Brit whose wiring had rotted thanks to decades of oil. The new loom uses Japanese connectors.